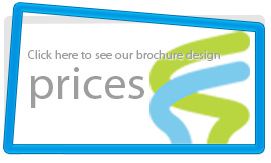 We will discuss the brief over phone or via email to get your requirements and collect images, logos and text from you. After 3 working days, we will send you the first edition of the design including one cover and one inner page, you can give us details for the revisions. Brochure copy in digital form (Microsoft Word, TXT, e-mail, etc). We also require any artwork that you want added as well as any photography that you have on hand. You may wish to utilize stock photography – additional licensing fees may apply – and we can help you with that through several agencies that we have subscriptions with. We’ll also need a vector based version of your logo (EPS, Adobe Illustrator, etc). If you do not have a vector version available, we can always create one, using your source files, as a Logo repair. Additional charges apply.